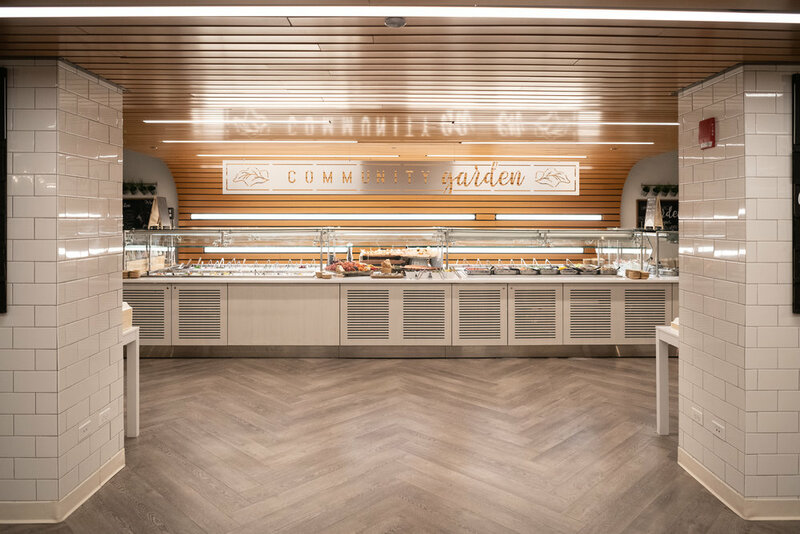 The Community Garden is one of the largest salad bars in Chicago and one of Forum 55’s biggest hits! Alongside just-harvested produce from Midwestern farms, we offer a slew of housemade sides and toppings. Choose from grain salads, hummus, soups, smoked salmon and trout, panko-breaded chicken tenders, freshly baked rolls… the list goes on. Our wonderful farms and purveyors include: MightyVine (IL), Klein’s Farm (IL), Driftless Breeze (WI) and Beeler’s Pure Pork (IA). Eating locally and colorfully is easy at our Garden.